Thailand is one of the biggest business centres in South East Asia. It plays major role to attract spotlight in world tourism and it serves a regional transit hub to other ASEAN nations. All these successes are the product of how the human resources have been nurtured and trained. To understand the underlying background, it is important to know the education system of the country which is the source of success. We summarize a short educational background of Thailand. Literacy rate of Thailand is 96.7%. Apart from formal education there is also non-formal education run by community centres with the help of government. There are very fewer private schools in Thailand compared with system in Manipur. Private to government school ratio is about 1:10, which means there is one private school for every ten government schools. Buddhist monastery is learning centre about Buddhist religion and there are 424 recognized Buddhist school run by monastery for formal education (Source: Wikipedia, 28 December, 2015). In higher education, the number of government and private universities are closer. International schools are affiliated to education board of other countries such as Britain, USA, Canada and Australia etc. International schools also belong to private. International schools are for business class people and tuition fees are very expensive. There are many International schools in Thailand. They are truly international in terms of environment and management. Students are from different countries and teachers are also from different nationalities. International schools in India and international schools in Thailand are very different. In India, international schools are just by name, and everything from students, teachers, management, learning atmosphere, and teaching-learning are all in Indian style. But international schools in Thailand or in another countries are truly in international atmosphere. Tuition fees at international schools range from Rs 5 lakhs to 13 lakhs per year. There has been a wave of English medium instruction class since the past 10-15 years ago. Under this influence, well equipped schools run private classes inside the system of government schools. They are called MEP (Mini English Program) and EP (English Program). In MEP program, most of the main subjects such as mathematics and science are taught in English. In EP program, all the subjects are taught in English except Thai Language subject which is similar characteristic to private schools of Manipur. Government schools have free education system however students pay a little amount of money as admission fee. MEP and EP programs are private, so students are paying around Rs 60,000-70,000 per year. There are two semesters in a year. Private schools with medium of instruction in English have tuition fees ranging from Rs 2-3 lakhs per year. Discipline: Thai schools and universities are very strict about their school uniform. Uniform and books are heavily discounted for government schools up to 12 standard. Students will arrive school before 8:00am. On daily basis, 4-5 teachers will be standing at the gate and greet the students every day taking turn one after another. Hair, nail, ear rings, shocks, and uniform must be checked carefully at the school gate. This is the beginning of school discipline of the day. Students must bow down their head with folding hands. If the head bow is not polite enough and satisfactory, the teacher will correct to make it to acceptable gesture which begins Thais’ respect for each other. School assembly starts at 8:00 am and classes start from 8:30 am. Schools close at 4:30pm. Students are not allowed wearing shoes inside the classroom. They must remove and keep it outside or inside the room but at the back of the room. Discipline and politeness reflects to Thailand’s major attraction of tourists which indirectly helps to boost tourism industry. Classroom: Most of the classrooms install computer and projector, and TV along with whiteboard. They use modern teaching and learning aids in the classroom. All the rooms will be fitted with fans, power outlet, microphone jack, wall speaker, overhead projector, air conditioners in most of the classrooms, smart-board which is connected to main computer and it works as touch screen. Library is equipped with computerized system. Mini theatre room is arranged with audio-visual, screen for seminar or meeting. There is usually auditorium hall for every school for meeting, gathering, and to perform activities. Computer literacy is good at school level and it is accessible to all students. When the students are in class 8th level they have done Microsoft office, creating games using Microsoft office, multimedia-sound and video editing, and basic programming and learning computer languages. Wave of English Learning: English learning and class with English medium have been growing popular in Thailand over the past 10-15 years with program such as MEP (Mini English Program ) and EP (English Program). Most of the schools hire teachers from USA, UK, Australia, New Zealand and South Africa. Filipinos constitute the largest number of teachers from Asian countries. Many language courses are offered at school. Popular foreign languages are English, Chinese, French, Japanese, Korean, and Germany. Student Exchange Program: Foreign student exchange program through AFS (American Field Service of youth exchange program) which is intercultural interaction program for one year exchanging students is popular. Many foreign students come to Thailand, and many Thai students go to foreign countries under this program. The students are exposed to outsiders, and this reflects to their personal job, career, and business later in their future. When European and American students return home, they got special credit points from the exchange program that added to their overall high school scores. Most of these foreign students came to get cultural exposure and to have experience of different culture before joining to university. Students from Thailand will go for exchange program at any level. In our education system of Manipur, when a class 10th or 12th students spend one year and came home after exchange program, his credit or certificate will not be accepted in mainstream education, so the whole point and value of exchange will be useless and time wasting things. For example, a Thai student joins exchange program during class 10, then he comes back the following year, he can join class at 11th standard. They value the experience as an important part of learning. This is not the case in Manipur. In Manipur, we learn for examination only and it doesn’t matter much for your participation or experience as long as you show a certificate with good score and that influences for unfair means during exams to get good score. School-A Mini Community: Thais pay much more attention to extracurricular activities, sports, health education, and art. In India, schools are considered for only text book learning. In Thailand, schools and social activities are closely related. All social activities, religious ceremonies will be organized and celebrated within the school system. Students learn all kinds of skills such as cooking, weaving, farming, recycling materials, etc through projects. In many schools, students will cook and sell food once a week inside the campus. Healthy life and sports are highly encouraged. Annual sports days are celebrated around the same time in many schools all over Thailand. In the same way universities sports days are also celebrated almost at the same time throughout the whole country but in different time from high school. School children run bank inside school and they learn money management from early age. Art, music, handicraft, hydroponic plantation, etc are actively participated by students. School is a place for social gathering and it is the place where children love to come and play but in Manipur, school is such a boring and burdensome place. Students tried to avoid school in Manipur. All school children have their lunch at school, so every school manages school canteen very well. Part Time Job and Practice Skills: Students are allowed to work part time at 24/7 opening shops, and malls etc. to practice skills by selling, exposing to business and marketing. They are paid for their time and service. In Manipur, when a nurse wants to practice in a clinic or hospital, the clinic/hospital demands money from the practicing nurse. We have never heard this in other countries that people work for a clinic or hospital and the clinic/hospital gets money from the persons who work for them. It is just total opposite. But in Thailand, students can practice their skill but they are respected and they get something for their time and energy. Bangkok is vibrant cosmopolitan city. It is famous for shopping, sight-seeing, and it is a major tourist attraction in the world. It serves a transit hub to neighbouring countries such as Malaysia, Cambodia, Laos, and then to Singapore, Vietnam, Indonesia by bus and train. Once you landed in Bangkok you can easily access to the neighbouring countries quite easily by land. Being a cosmopolitan city, it is busy centre of business in South East Asia. Education here also quite reflects to the nature of business, people, and global influence. Our youths move out from northeast to main city of India for education. In a new horizon of outlook, you can explore Bangkok in your map of educational destination. No Student Will Fail: In Manipur’s education system students will be failed. Teachers are happy to fail students which is a form of punishment for not working hard or for weakness in study. In Thai education system, students will hardly fail if it is not exceptional cases. Exams will be conducted by schools themselves up to 12 class. Unlike our Manipur’s system, if any student fails due to absence from examination or due to poor mark, you still have chances to consult with your teacher who teaches the subject till you pass the exam. In our system of Manipur, if you are absent on the day of examination due to accident or illness, or fail due to poor score, we are sorry. No excuses and goodbye, see you again next year. Because of this, every year students and parents of class 10 and 12 suffer from psychological illness. You don’t worry from this fear in Thai education system. The system in Thailand is to nurture your child, not to destroy your child’s carrier by punishing in the examination. Career Opportunity Study and schooling in Bangkok must be a new horizon in your career. Whatever you learn in India, the same topics and subjects will be learning in American classroom, British classroom, so does in Bangkok. The differences are how people manage things, how people interact with each other. The more you see, the more your mind and thought will be opening up. This is how education works and in that way you learn to cope up with problems and situation in your future career and business. Classroom is much more modern compared with Indian schools or universities. Growing up in Thailand, you can see a number of business and work opportunity not only in Thailand but also in Southeast Asian countries such as Singapore and Malaysia which is one day journey by bus. You have the opportunity to travel most of the ASEAN nations easily if you live in Bangkok. Chance to Get Admission In a large population and with poverty, our government cannot arrange enough number of seats in each discipline. You want to study medicine but you cannot get admission, there is no way to pursue your dream course. According to UN expert, India needs to double the university from the existing ones to educate our youths but our government cannot afford it. In this situation only a fraction of students get admitted in their dream career subjects. There is more chance to get admission in Thai universities as foreign student. But there is no course in medicine for foreign students. You have chances for other courses including engineering courses. But be ready your English skill because you are going to another country and it is required for admission. Learn Thai Language If you go to school in Thailand, naturally you will be picking and learning Thai language. If you can communicate in a foreign language, you have better opportunity for employment and you are about to able to do business with Thai people. This is an opening the door of opportunity. Food and Weather Food and climate are nothing strange to you in Thailand. Whatever we eat in Manipur, you can find plenty of them in Thailand. The taste of Thai food will be nothing new to you once you taste it, unlike mainland Indian food. We are much closer to Thai in terms of foods and drinks. Yongchak, Soibum, fermented fish, vegetables, eatable insects, meat, and fish so on and so forth. Weather will not torture you in Thailand. Second Class Citizen Feeling When you go to another city in India, you will feel second class citizen with our mongoloid face (Sorry to say this but our personal experiences).You will never have this feeling in Thailand. You just feel as if you are living in your hometown as the surrounding people and their culture will not shock to you. People are friendly. Nobody will call you and talk behind you ‘Chinky’ as it is in other states of India. Local people will just feel you like their local fellow people. If they found you foreigner, they will react even friendlier, not like as fearful feeling as in Delhi or Kolkata. Opportunities for Learning Other Foreign Languages If you study in Thai high school, you have the opportunity to learn other foreign languages easily. English and Chinese are taught in almost all schools, and French, Japanese, Korean, German are also taught to a bit less extent. You will learn Thai without any struggle as time passes. Bangkok has much more opportunity for learning foreign languages than any cities of India. 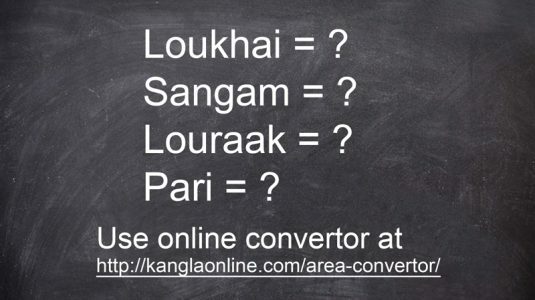 You can learn any foreign language easily which you will never see or heard of that opportunity in Manipur. Teaching and learning is more in participation and practical in nature while in India, learning is mostly in theory and students might not able to work directly after they finished their course in India because of our teaching and learning depends heavily only on theory. Admission: In Thailand new school session will begin on 15 May every year. Admission for foreign students should start by January and February. All documents and paperwork should be done by April and May. There are two semesters in a year. There is no winter holiday in Thailand as winter is almost unknown in Thailand. Some universities have autumn intake/admission. For university students, some universities provide hostel. Their hostels are very different from our India university hostels. The room, canteen, floors, and surroundings are neat and clean like expensive hotel in India. Free internet will be provided in the hostels and university campus. If you want to stay in private apartment, there are plenty of them. Rental will be much cheaper compared with apartment in India with same facilities as supply is much more plenty in Thailand whereas in India rental is very costly due to demand far exceeds than supply with the large population size. In the university, nursing, hotel management, tourism course and hospitality courses are popular among the foreign students. Thais are famous in these areas very well so they are really famous in tourism sector, as well as in medical tourism too. You can see more foreign students in the above mentioned disciplines. All other modern courses are offered in the university. This definately applies to Bangkok schools, not all provincial schools are well… connected, even to electricity. This is a very poorly researched article and should be deleted. The author should check the results of the ONET exams in Thailand and also check how difficult it is for foreigners to get employment in Thailand before posting such misleading information.